3D printing materials like printers and filament are necessary to enjoy the 3D technology. This page will help you get yourself familiar with these items. 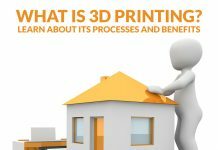 3D printing is a growing industry and the materials available for it has also changed over the years. If you love this craft, you should know that there is a wide variety of materials that you can choose from to create a 3D object. ABS is among the most common plastic materials for 3D printing. This is widely used in entry-level FDM 3D printers in filament form. ABS is a very strong plastic and comes in a variety of colors. This material can easily be brought in a filament form from non-proprietary sources making it very popular. PLA is biodegradable, making it a great choice for environmental advocates who want to engage in 3D printing. PLA can be utilized in resin format for Digital Light Processing (DLP) and Stereolithography. It can also be used in filament form for the FDM process. Just like ABS, PLA is also available in different colors. However, it is not as durable. [su_note note_color=”#E2F0FC”]Benefits: ABA and PLA are ideal for low-cost prototyping, developing mechanical parts, cases, holders, adapters, toys and scale models. However, they are not recommended for objects that require intricate designs. Once you use plastic other than ABS and PLA for 3D printing, you are already using a specialized plastic with specific properties rather than for general 3D printing. Here are some of them. This is commonly used in powder form with sintering process or in filament form with FDM process. This material is strong, flexible and durable. Nylon is naturally white in color, but it can be colored for pre or post-printing. Nylon in powder form can be combined with powdered aluminum to produce Alumide, another common 3D printing material for sintering. This material is reliable for 3D printing. However, it is more costly than PLA or ABS because it used for specific material properties (resistance to specific chemicals) or due to the FDA approved material. [su_note note_color=”#E2F0FC”]Benefits: Nylon is ideal for functional products, complex models with intricate design, moving and assembled parts, cases, holders, and adapters. However, nylon is not good for cavities with a design. HIPS are plastic filaments used for dissolvable support structures in FDM printers. HIPS have similar characteristics with ABS, only that it is completely soluble in liquid hydrocarbon called limonene. So, if you are using an FDM printer with more than one print head you can extrude ABS in one head and HIPS in another head as a support material. HIPS will dissolve away, leaving ABS behind for a cleaner output. This may vary in appearance depending on the temperature at which they are printed. For instance, LayBrick can be as smooth as ceramic or rough as sandstone just by increasing the heat of extrusion. You can achieve a smooth result in this material by printing at a low temperature from 165O C to 190O. Meanwhile, increasing the temperature from the said temperature to around 210OC will render a rougher result. On the other hand, for LayWood, the difference in appearance is not on the texture but in the color. When you increase the temperature, it will result in a darker wood grain. If you have a printer that supports variable temperature in a single print, you can get different colors in a single print using LayWood. T-Glase is the brand name for filament composed of Polyethylene terephthalate. This material is the most glass-like compared to other 3D printer filaments. T-Glase prints at around 221OC on a heated bed. [su_note note_color=”#E2F0FC”]Benefits: This material is very stable, light-transmissive and curing-resistant. Aside from plastics, metal is popular in 3D printing. Check out the metal powder used in the craft below. Stainless Steel – Stainless Steel in powder form are used in sintering/melting/EBM processes. This material is naturally silver, but it can be plated with other materials to achieve a gold or bronze effect. Gold / Silver – These materials are considered in 3D printing in 2011. They are very useful in the jewelry sector. These materials are very strong and just like the stainless steel, gold and silver are processed in powder form. Titanium – this material is one of the strongest metal materials you can find in the market for 3D printing industrial applications. Just like the others, Titanium is supplied in powder form. Other Metals – Aside from the aforementioned metals, maraging steel, Iconel – In718, Iconel – In625, cobalt chrome and copper are also used in 3D printing. [su_note note_color=”#E2F0FC”]Benefits: Industrial metals are ideal for functional prototypes and end-use parts, mechanical parts, and moving and assembled parts. It is also great for complex designs with intricate details. Just like nylon, these materials are not recommended for cavities with design. Ceramic is a new material in 3D printing that is more durable than metal and plastic. Ceramic can withstand extreme heat and pressure without warping or breaking. Ceramics don’t rust like metals or wear away like plastic. However, ceramics are difficult to process. In fact, it requires a tremendous amount of temperature to melt. [su_note note_color=”#E2F0FC”]Benefits: Ceramics are great material for table wares like cups, bowls, egg cups and coasters. It is also perfect for candle holders, tiles, vases, art and more items. 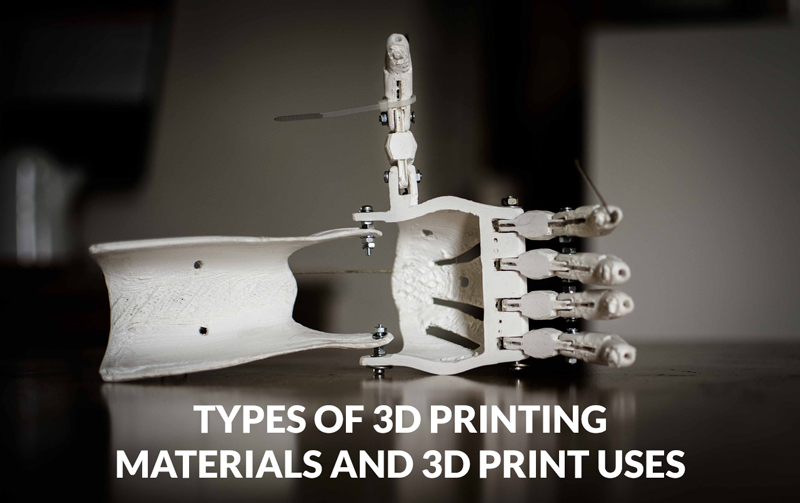 Papers are popular for 2D printing, but mind you, they are also great materials for 3D printing. In fact, you can use Standard A4 copier paper as your 3D printing material. [su_note note_color=”#E2F0FC”]Benefits: Using paper as your 3D printing material offers a number of advantages, it resulted in a full-color model, very cheap compared to other material, easy to acquire and recyclable. Biomaterials are synthetic or natural material that can be used for constructing artificial organs, prostheses, bones or tissue. 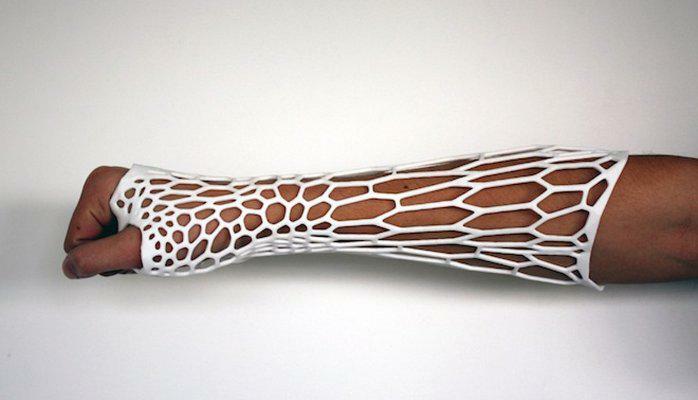 This material can now be used in 3D printing for a number of medical applications. In fact, several studies are examining living tissues with the goal of developing applications to print human organs for transplant and external tissues for body parts where replacement is needed. Another 3D printing area using biomaterials concentrates on developing food like meat. [su_note note_color=”#E2F0FC”]Benefits: Using biomaterial for 3D printing has a broad range of applications especially in regenerative medicine. It can be used for tissue engineering to fabricate functional and viable organs. The arts of 3D printing have no limitations. In fact, it can also use food as materials. The most common and desirable material for 3D printing is chocolate. However, aside from this, others printers work with sugar, candy, and some with pasta and meat. 3D printers can also use powdered or liquid edible material and puree to create new food items with interesting and complex shapes and designs. [su_note note_color=”#E2F0FC”]Benefits: Using food for printing and 3D printing food are possible. The good thing about this is that it allows you to personalize (design and decorate your meal in different shapes and texture) and reproduce nutrition. 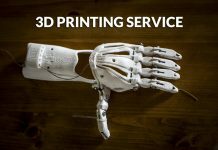 3D printing is very flexible and it continues to improve. As this craft grows, more and more materials will be compatible with 3D printers. What’s your favorite 3D printing material? Do you find it in the list? If you want to learn more about 3D printing, feel free to check our homepage.